Controlling excitation energy flow is a fundamental ability of photosynthetic organisms to keep a better performance of photosynthesis. Among the organisms, diatoms have unique light-harvesting complexes, fucoxanthin chlorophyll (Chl) a/c-binding proteins. We have recently investigated light-adaptation mechanisms of a marine centric diatom, Chaetoceros gracilis, by spectroscopic techniques. However, it remains unclear how pennate diatoms regulate excitation energy under different growth light conditions. Here, we studied light-adaptation mechanisms in a marine pennate diatom Phaeodactylum tricornutum grown at 30 µmol photons m−2 s−1 and further incubated for 24 h either in the dark, or at 30 or 300 µmol photons m−2 s−1 light intensity, by time-resolved fluorescence (TRF) spectroscopy. The high-light incubated cells showed no detectable oxygen-evolving activity of photosystem II, indicating the occurrence of a severe photodamage. The photodamaged cells showed alterations of steady-state absorption and fluorescence spectra and TRF spectra compared with the dark and low-light adapted cells. In particular, excitation-energy quenching is significantly accelerated in the photodamaged cells as shown by mean lifetime analysis of the Chl fluorescence. 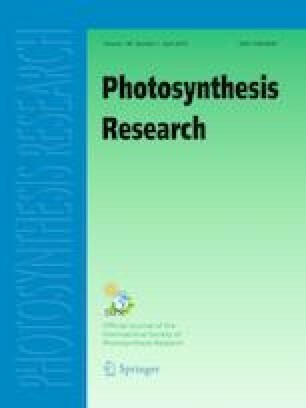 These spectral changes by the high-light treatment may result from arrangements of pigment–protein complexes to maintain the photosynthetic performance under excess light illumination. These growth-light dependent spectral properties in P. tricornutum are largely different from those in C. gracilis, thus providing insights into the different light-adaptation mechanisms between the pennate and centric diatoms. This work was supported by the Grants-in-Aid for Scientific Research from Japan Society for the Promotion of Science JP17K07442 (to R. N.), JP17H06433 (to J.-R. S.), and JP16H06553 (to S. A. ).